This month, San Diego Woman the Magazine features our medical director, Dr. Shashita Inamdar, in its ‘Inspirational Women’ issue. This issue pays homage to women who have forged a path and overcome obstacles to accomplish things that they never dreamed to be possible. Dr. Inamdar, the medical director at Achieve TMS, is one of these women, as she is one of the driving forces for making TMS treatment accessible to patients throughout Southern California. Dr. Inamdar has over 20 years of experience specializing in psychiatric disorders and has chosen to work with patients on her terms. By paving the way for alternative treatments, Dr. Inamdar puts her patients first, listening to their needs and taking a more direct approach — not simply following mainstream ideals. Dr. Inamdar and her innovative strategies are continually evolving to ensure our patients receive the most exceptional care available. We at Achieve TMS Centers are so proud of Dr. Inamdar for this recognition. Congratulation! Read the full article in San Diego Woman the Magazine on pages 55 and 56. 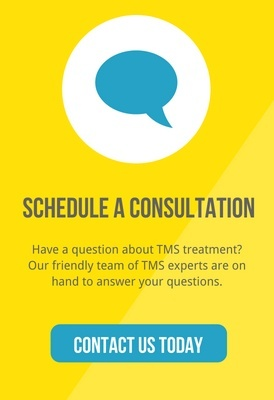 PreviousPrevious post:TMS Treatment and Insurance Coverage: Will my treatment be covered?NextNext post:What is Treatment Resistant Depression?